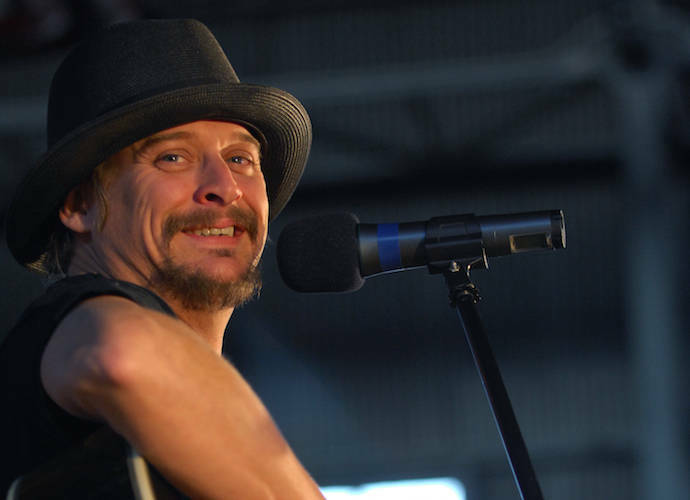 Kid Rock, 46, admitted that his campaign run for the U.S. Senate was just a PR stunt to promote his forthcoming album. His new album Sweet Southern Sugar will hit stores and streaming services on Nov. 3. Prior to that interview, the singer had blogged about the Federal Election Commission (FEC), as well as publicly commented on his opponent, Michigan Sen. Debbie Stabenow, and had come up with campaign slogans, including “Pimp of the Nation” and “Party to the People.” Kid Rock, whose real name is Robert Ritchie, never actually filed with the FEC, which led most to assume that his campaign was actually a stunt. In fact, it is illegal to begin campaign activity without filing with the FEC, so a major Washington watchdog group has filed an ethics complaint against the singer for violating “campaign finance law 101.” Apparently creating campaign signs and apparel violates FEC rules, as Ritchie was not actually a candidate. Stabenow has yet to comment.